The tremendous growth of mobile has created an unprecedented opportunity to provide content and services to nearly everyone on planet Earth through software. 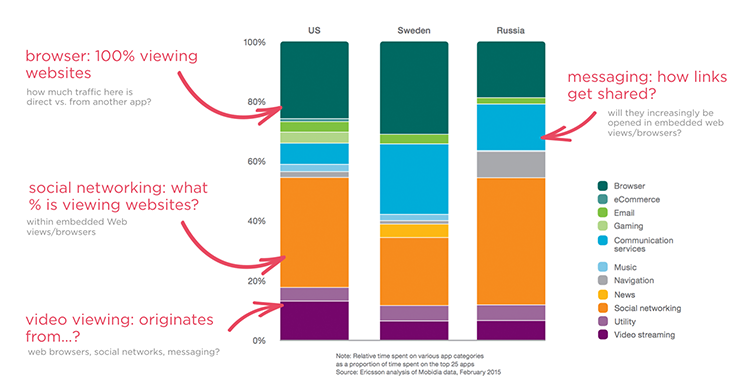 Native mobile apps dominate time spent on mobile devices. 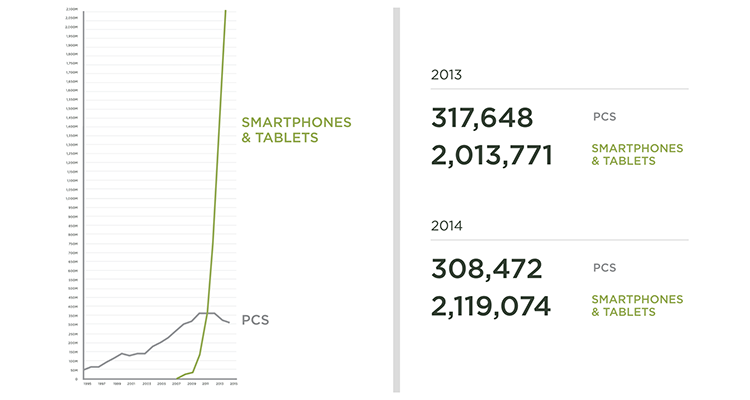 Looking a bit deeper, most of these devices are smartphones. 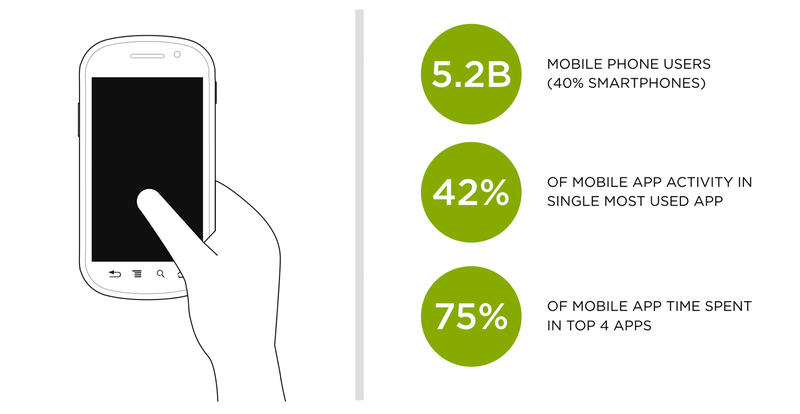 And just a few apps really dominate time spent on your phone, dwarfing mobile Web engagement. 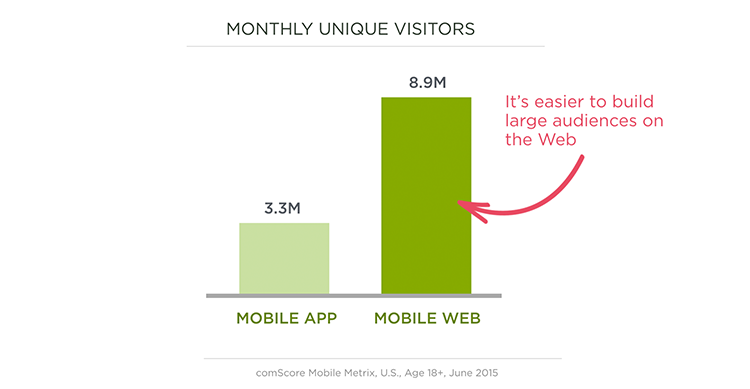 But mobile audience growth is driven by mobile web properties, which are actually bigger and growing faster than native apps. In other words. 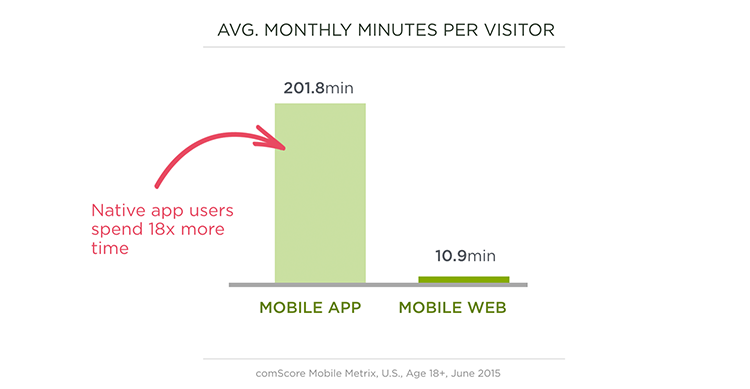 The Web is for audience reach and native apps are for rich experiences. Both are strategic. Both are valuable. So when it comes to mobile, it's not Web vs. Native. It's both. 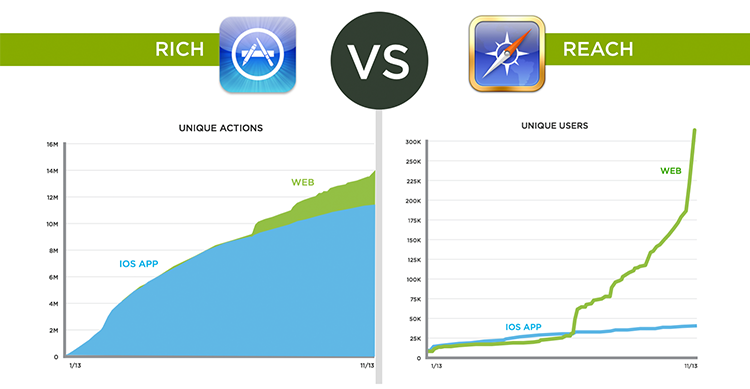 Whenever I make this point, someone inevitably asks "what about Web browsers within native apps?" Is there a large amount of time spent on Web properties within embedded Web browsers inside the World's most popular native mobile apps? From the data I've gotten access to it looks like about 20% of iOS mobile Web traffic over the past two years comes from embedded browsers. 50% of it from the embedded Web views in Facebook's native mobile app. So once again we see the Web is great for reach —even within native apps.